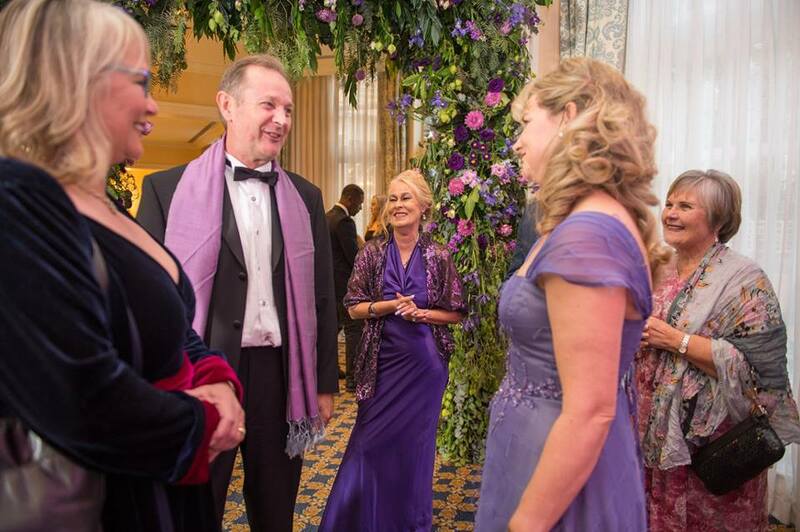 An evening marked by elegance and heart, the Iris House Devere Acuma Purple Ball proved to be the most extraordinary show of generosity the charity has experienced. It was the tangible sense of magnanimity that filled the ballroom, together with the superb quality items that saw the auction alone raising over R500 000. The magnanimity only grew as impassioned Founder, Sue van der Linde presented three projects of significant importance to the wellbeing of families served and growth of the charity. Guests were invited to sponsor these projects which include the re-tarring of the Hospice driveway which will provide beneficiaries safe access to hospice facilities, installation of air-conditioning throughout the Hospice which will assist with body temperature regulation and allergy control, and a Legacy Project that see the building of a Occupational Therapy and Aqua Therapy room at the Hospice. Inspired by her vision, the display of interest in supporting these projects together with the funds raised through a successful auction will ensure that Iris House achieves it’s goal of raising enough funds to meet the growing demand for it’s essential services across the Western Cape.